Raising brand awareness is this calendar's plan! Plan your events months in advance with these 13-month calendars. Each page displays the previous and following month, allowing for easier planning. The center grid includes Julian dates, a gridded layout and colored Sundays/Holidays. Holidays and other important days are labeled. Each calendar features 13 separate pages, each displaying three separate months. Calendars include a hanging loop for easier display. 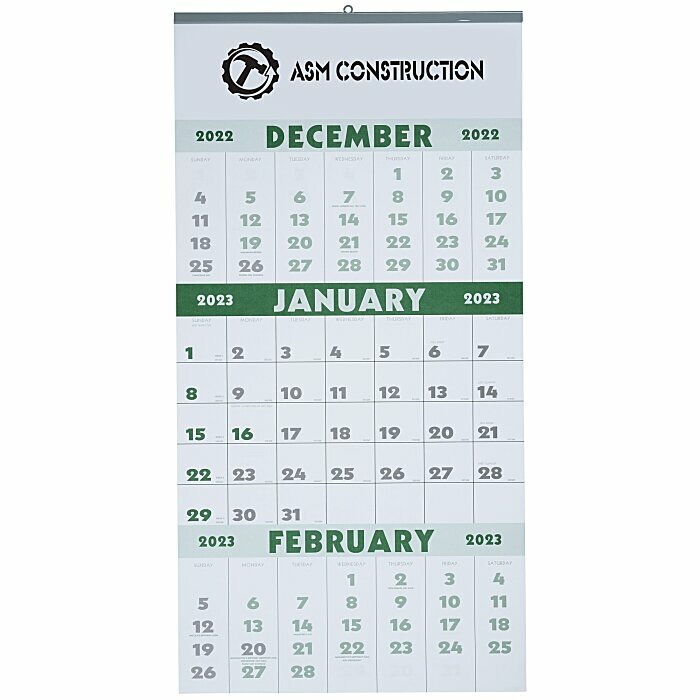 Your price includes a one color imprint on the top, above the calendar.